This paper discusses Brentano’s plan to renew philosophy as consistingof two goals. One goal is to restore the scientific reputation of philosophyby employing the natural methods of descriptive psychology . In contrast to sceptical and critical approaches in 19th-century philosophy, Brentano seeks to renew philosophy by reviving a purely theoretical interest that he associates with the work of Aristotle . The other goal derives from Brentano’s theistic worldview . Like scholastic thinkers, Brentano believes that philosophy can provide a rational foundation for theism . His plan is therefore not just to align philosophy with the empirical sciences, but alsoto arbitrate between scientific knowledge and belief in God. But can onereally expect from philosophy to serve as a bridge between science and religion? Since there is good reason to doubt that philosophy can play that role, Brentano’s plan for a renewal of philosophy remains a double-edged sword that cuts one way or the other, aligning philosophy with either science or religion, but not both. 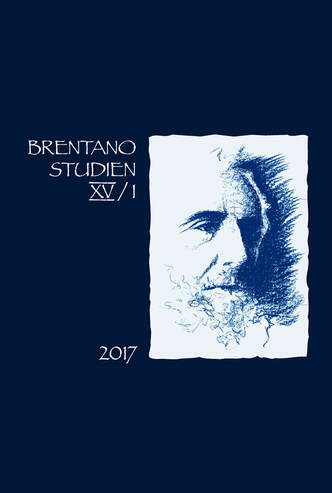 Brentano’s conception of scientific philosophy had a strong influence onhis students and on the intellectual atmosphere of Vienna in the late nineteenth century . The aim of this article is to expose Brentano’s conception and to contrast his views with that of two traditions he is said to have con-siderably influenced: phenomenology and analytic philosophy. I will shedlight on the question of how and to what extent Brentano’s conception of philosophy as a rigorous science has had an impact on these two traditions . The discussion will show that both took their liberties in the interpretation of the thesis, a move that allowed them to liberate themselves from Brentano’s inheritance and to fully develop their own philosophical positions. My aim in this study is to show that the philosophical program elaborated by Brentano in his Psychology is largely indebted to the research conducted by Brentano on British empiricism and Comte‘s positive philosophy during the Würzburg period (1866-1873) . This research represents the starting point of and backdrop to the project for philosophy as science, which is at the heart of his Psychology, and sheds new light on the philosophical stakes of many debates he leads in that work . Furthermore, Brentano’s research informs us about his philosophical preoccupations during the Würzburg period, and simultaneously provide us with a new perspective on the evolution of his thought from his habilitation at Würzburg in 1866 to his arrival in Vienna in 1874 . In this study, I propose to examine some of the factors that motivated Brentano's interest in Comte1s philosophy and to evaluate the influence that the latter exerted on Brentano1s thought during the Würzburg period and beyond . This article argues that Brentano’s classification of mental phenomena isbest understood against the background of the theories of natural classi-fication held by Auguste Comte and John Stuart Mill. Section 1 offers areconstruction of Brentano’s two-premise argument for his tripartite clas-sification. Section 2 gives a brief overview of the reception and historical background of the classification project. Section 3 addresses the question as to why a classification of mental phenomena is needed at all and traces the answer back to Mill’s view that psychological laws are class-specific.Section 4 and 5 connect the second premise of Brentano’s argument to Comte’s principle of comparative likeness and Mill’s insistance that class membership is determined by the possession of common characteristics .And section 6 briefly discusses the evidence Brentano provides for the first premise. In his On the existence of God: Lectures given at the Universities of Würzburg and Vienna (1868-1891), Brentano offers several proofs of God’s existence, of which the teleological proof gets more attention thanany other, and within this presentation an analysis of the Darwinian theory of evolution is decidedly prominent . Although Brentano was critical of certain aspects of Darwinism, in particular the apparent denial of purposes in nature, it would be a mistake to conclude that he rejected the science be-hind the theory of evolution. Rather, in this, as in other areas of scientificresearch, Brentano was an interested and well-informed student, conver-sant in and respectful of the scientific developments of his era. This article examines Brentano’s views on the science of evolution, including some of the specific scientific discoveries with which he was familiar, and some of the contemporary scientists whose views he discussed, as these are to be found in his lectures on the existence of God. This essay attempts a fresh interpretation of Franz Brentano’s life and ca- reer in Vienna between 1874 and 1895 . But rather than ask how Vienna wassignificant to the evolution of his philosophy or assess his influence in theAustrian capital and beyond, this essay explores some of the circumstances surrounding controversial Meine letzten Wünsche für Oesterrich, which recounts his battle with the Austrian government to have him reinstated as a full professor of philosophy . The failure to regain his professorship was more than a career setback that embittered Brentano . It was the occasion for him to publicly declare the backwardness of Catholic Austria. I will try to show how this condemnation was shaped by Brentano’s specific experience as an apostate priest at the intersection of Catholic and Jewish segments of Viennese society, and nourished by his views on the course of history . In this way, this essay seeks to enrich our understanding of the interplay between Brentano’s life and thought, and add another chapter to our understanding of the Viennese fin-de-siècle. Does the criticism raised against the use of judgemental evidence in logic and epistemology still stand, or is the notion crucial in our understanding of truth? First, Brentano’s account of truth and evidence is expounded .Then, the different kinds of criticism that may be raised against Brentano’saccount of truth and evidence are presented . Finally, it is argued that, alt- hough there is a serious problem with this account of truth and evidence,a modification of the theory can be of importance for philosophy today. In Brentano’s account of truth and evidence, a first-person perspective playsa crucial role, and it is precisely this aspect we need in epistemology and in logic today . Brentano’s Psychology from an Empirical Standpoint is primarily, although not exclusively, an epistemological treatise . Its purpose — the reader will likely concede this point at least — is to provide an epistemological basis for a “psychology from an empirical standpoint” . This article presents an epistemological reading of Brentano’s theory of intentionality — a reading which I think is, as such, more in accordance with its historical context. I will adopt two assumptions without further discussion . First, I take for granted that Brentano’s epistemology, in 1874, was not only empiricist, but also phenomenalist . This view is controversial, but it has some support in the literature (Tolman 1987; Bell 1990: 8–9; Pacherie 1993: 13; Simons 1995; Crane 2006; Seron 2014; Seron forthcoming) . Secondly, I assume that Brentano’s aim in the Psychology was to make phenomenalism less problematic by distinguishing two things which standard phenomenalism does not distinguish, namely reference and intentional aboutness . Now, there are good reasons to think that this distinction is the cornerstone of his theory of intentionality (Cayla 1993; Sauer 2006; Fréchette 2012: 330) . Therefore, it is plausible to say that Brentano’s theory of intentionality has as its heart an epistemological concern . In the first three sections, I examine Brentano’s rejection of epistemologicalrealism and its phenomenalist implications . In sections 4 to 6, I argue that Brentano’s theory of intentionality is better seen as a more sophisticated variant of William Hamilton’s “theory of the relativity of knowledge” . My underlying hypothesis is that the notion of intentionality — the distinction between real and intentional existence, direct and oblique modes — functions primarily as a means for overcoming some of the inherent limitations of standard phenomenalism . The paper presents, criticizes and proposes some fixes to Brentano’s theo- ry of continuity (that is, absence of gaps) . Brentano’s key idea is that con- tinua consists of boundaries (and not of points) and that their continuity is guaranteed by the coincidence of these boundaries . After having presented Brentano’s account, I argue that it is beset by two main problems . First, if continua consist only of coinciding boundaries, continua can never be extended . Second, if continua involve coinciding boundaries, there must be some underlying continua in which such a coincidence takes place . But then the continuity of such underlying continua remains unaccounted for .To fix these two problems, I argue that we should distinguish the questionof the continuity of what is in space and time, from the question of the continuity of space and time themselves . While the continuity of what is in space and time is correctly explained by boundary-coincidence (along Brentano’s lines), I suggest that the continuity of space and time them- selves is explained not by boundary-coincidence but by a primitive relation of continuity (at which Brentano appears to hint in more neglected places) . The paper gives a reconstruction of Brentano‘s distinction between in- tellectual and sensory pleasures . I will argue that for Brentano a senso- ry pleasure is a non-propositional liking of a sensory and an intellectual pleasure a non-propositional liking of an intellectual actitvity . In addition, these likings are only conceptual distinct from the activity liked . Senso-ry pleasures are supposed to be fundamentally different from intellectualones in that the fromer have, while the later lack intensity . I will deal with a philosophical and exegetical problem that arises from this distinction and use it to shed light on Chisholm‘s reading of Brentano‘s remarks on intel- lectual pleasure . The so-called ‚Brentano-Chisholm view of Pleasure‘ has it that intellectual pleasure is, roughly, a propositional attitude of being pleased that p which causes sensory pleasure . I use my reconstruction of Brentano‘s view to argue that the ‚Brentano-Chisholm‘ is not Brentano‘s and that Brentano even theorized about a different phenomenon. Aim of this chapter is an inquiry about the double bind between both key notions of sensus communis (koiné aesthesis) and imagination in Brentano’s interpretation of Aristotelian psychology and in his later workuntil 1880. I will try to show how the treatment of these concepts prefigures Brentano’s theory of inner perception in its full-grown formulation . Strictly knit together with sensible imagination, as far as it allows for the coordination of the cognitive operations carried out by the proper sensesand for establishing a level of metareflexive awareness about them, sensus communis is defined as a modality of self-consciousness directly rootedin sense perception . Yet at the same time it provides for the genesis of a higher-order form of self-consciousness and of a structure of self-refe- rence of all cognitive acts to their bearer . The theoretical issue at stake here consists in verifying if Brentano really does succeed in providing the adequate conceptual tools for the task of developing an unitary account of self-consciousness . This must be able to overcome the Cartesian-Kantian divide between the blind automatisms of sense perception and the empty certitude of a merely intellective awareness . Since the first discussion of Brentano’s relation to (and account of) medie- val philosophy by Spiegelberg in 1936, a fair amount of studies have been dedicated to the topic . And if those studies focused on some systematic issue at all, the beloved topic of intentionality clearly occupied a hegemo- nic position in the scholarly landscape . This paper considers the question from the point of view of ontology, and in a twofold perspective: What did Brentano know about medieval ontology and what kind of access did he have to that material (section 1)? What kind of use did Brentano make of medieval material in his own philosophy, and with what kind of results (section 2)?